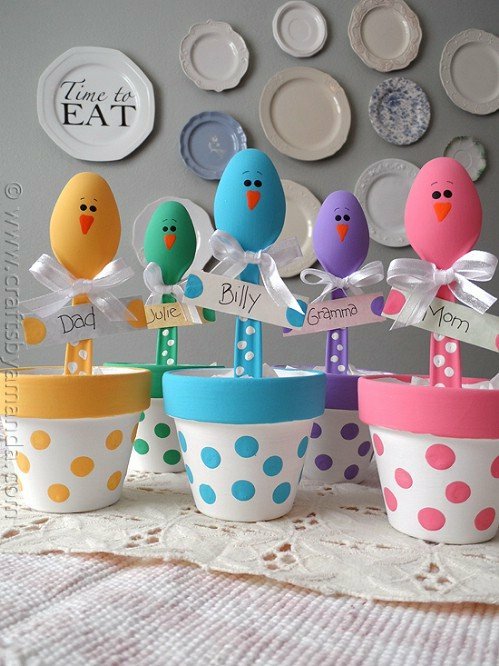 Top 10 DIY Home Decorations For Easter That Will Bring Smile On Your Face. #8 Will Amaze Your Friends For Sure. 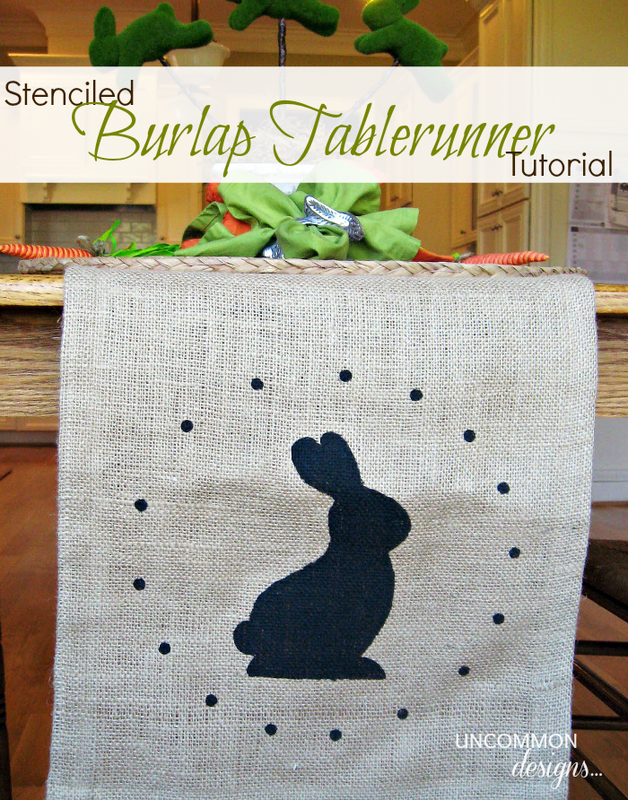 With Easter knocking on our doors it’s time for you to decorate your home. Many people want to try something new this year. Decorating your home for special holidays can cost pretty much, but… what if we give you several decoration ideas that you can do all by yourself? As a matter of fact, you will surprise all of your friends, family and most important, you will surprise your kids. Give them quality time by including them in the process of making these wonderful ideas. Who said you can’t decorate your door for Easter? – Christmas isn’t the only holiday that approves this decoration. 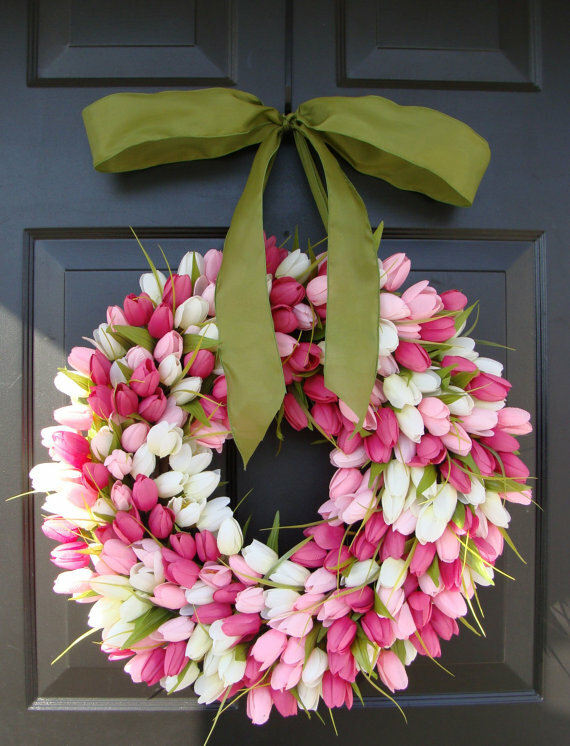 You can find many tulips in this period of time and it’s really great if you use them to decorate your door. You would love it! 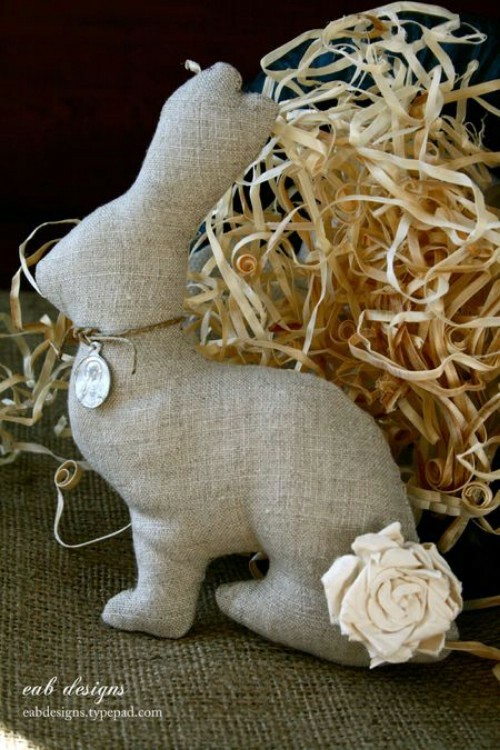 What’s the first thing that comes to your mind when you think about Easter decoration? – I’ve read your mind and I know you are thinking about bunnies, chicks and eggs. This decoration idea includes all of them. Make one for each family member. Easter can’t past without Bunnies. These stuffed bunnies are very easy to make. You will save couple of dollars by making them yourself. You just need a piece of fabric, a model and stuffing material. 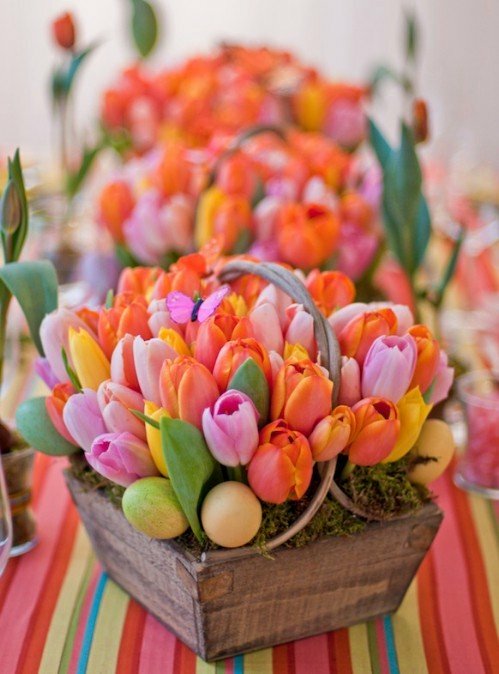 If you want to make your living room transform into the “Easter” spirit, tulips and eggs are the perfect combination. 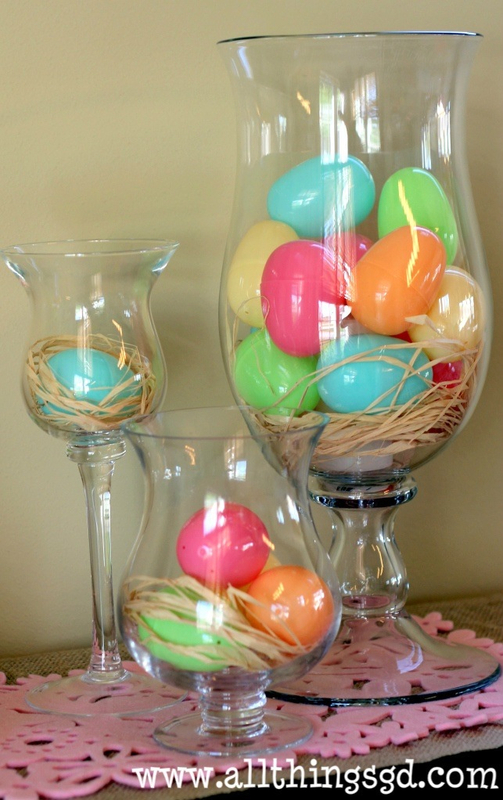 Use different colored eggs and tulips for getting the best of this decoration. You can’t have eggs without a creative basket. How about making it yourself this time? 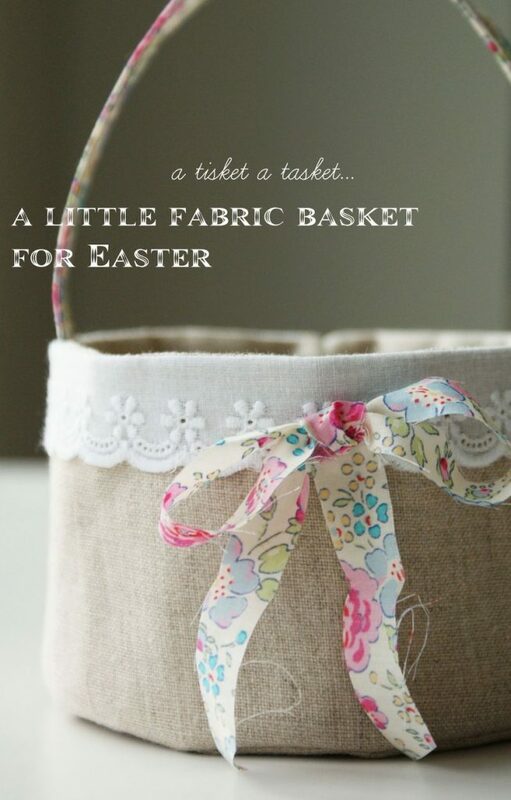 – This basket is perfect for the upcoming holiday. All different colored eggs would look perfect in this basket. Do you have any vase made of glass at your home? – It’s time to make it your “Easter employer” and fulfill it with different colored eggs. Use your imagination and place them at the right spot. 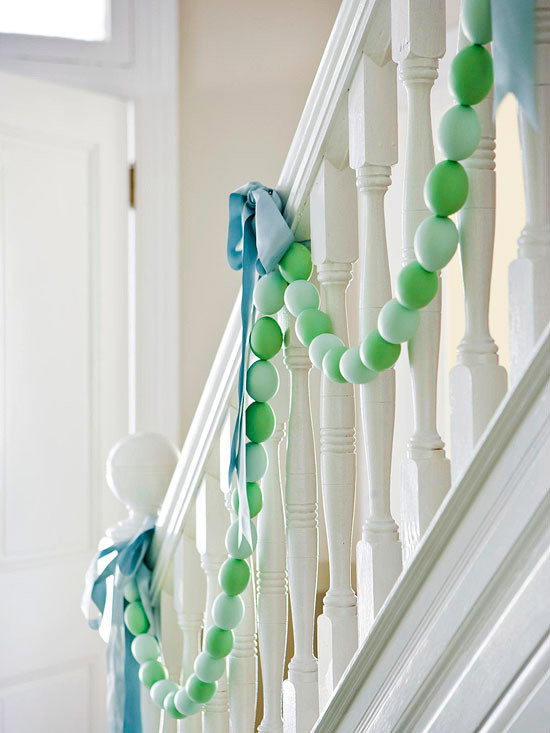 Your banister can also contribute to the Easter decoration. You can use the same egg garland to decorate the walls or something else. People are enjoying coloring and drawing Easter eggs. Why not making your lamps look just like your Easter eggs? 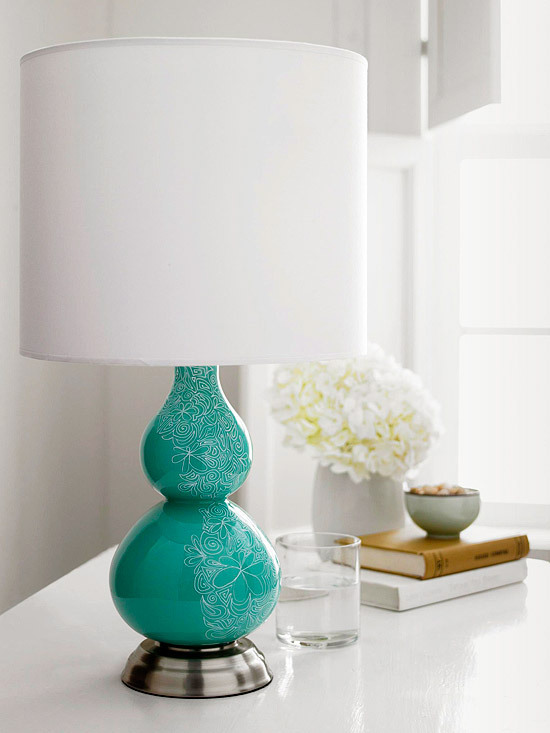 You can decorate the lamps by coloring them with different colors and drawing on them. Your table will look amazing with these runners. The best part in this is that you have the opportunity to do it yourself. If you have many unused buttons at your home, it’s time for you to make Easter button bunnies. Stuffed animals are great for fulfilling some unused area, but button made bunnies are great for decorating every single door you have in your home.